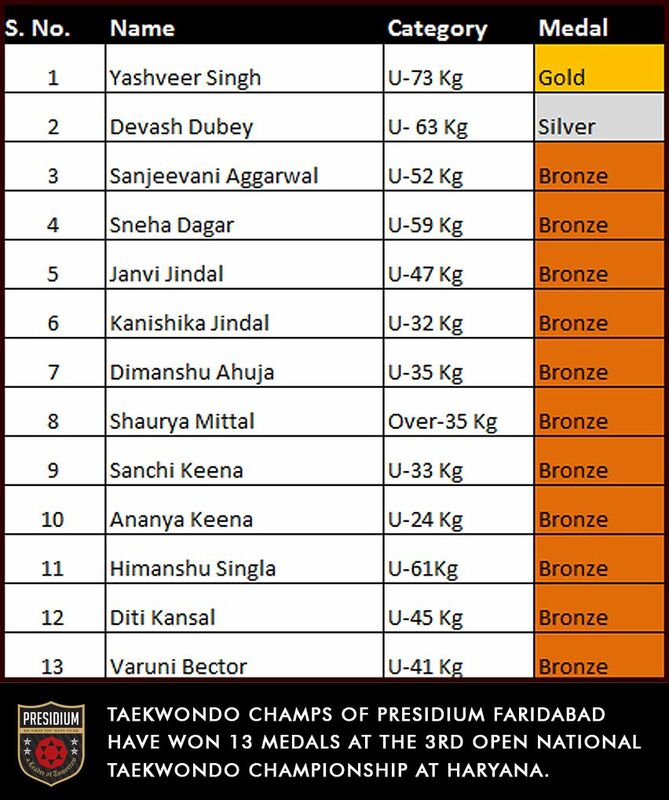 Taekwondo champs of Presidium Faridabad have made us proud by winning 13 medals at the 3rd Grand Open National Taekwondo Championship-2017. 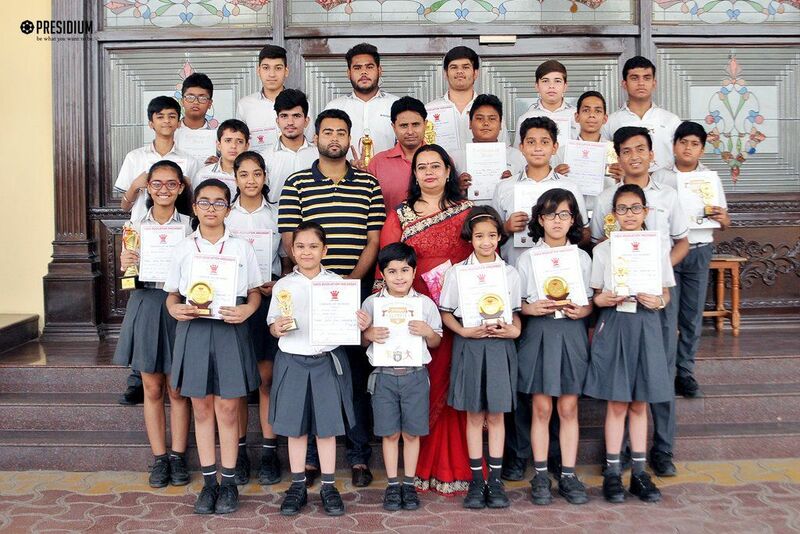 Presidians proved their martial arts skills amongst more than 250 students from over 30 schools participating in the Championship. 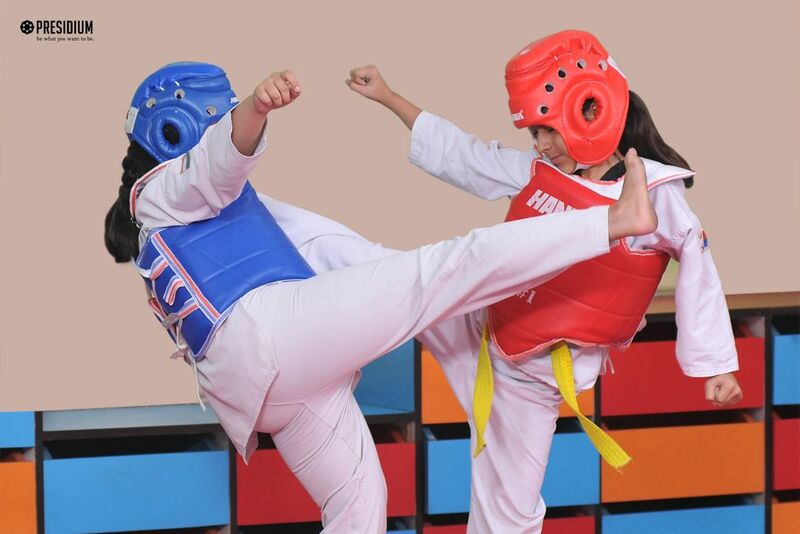 Our Taekwondo masters won accolades and medals with their impeccable kicks, punches and blocks and recorded an impressive victory at the Championship. 1. Yashveer Singh of Grade XI, won a Gold medal in the U-73 Kg category and he also won a Silver medal, a Special Award for Experienced player. 2. Devash Dubey of Grade X, won a Silver medal in U-63 Kg category. 3. Sanjeevni Aggarwal of Grade IX, won a Bronze in medal U-52 Kg category. 4. Sneha Dagar of Grade IX, won a Bronze medal in U-59 Kg category. 5. Janvi Jindal of Grade VII, won a Bronze medal in U-47 Kg category. 6. 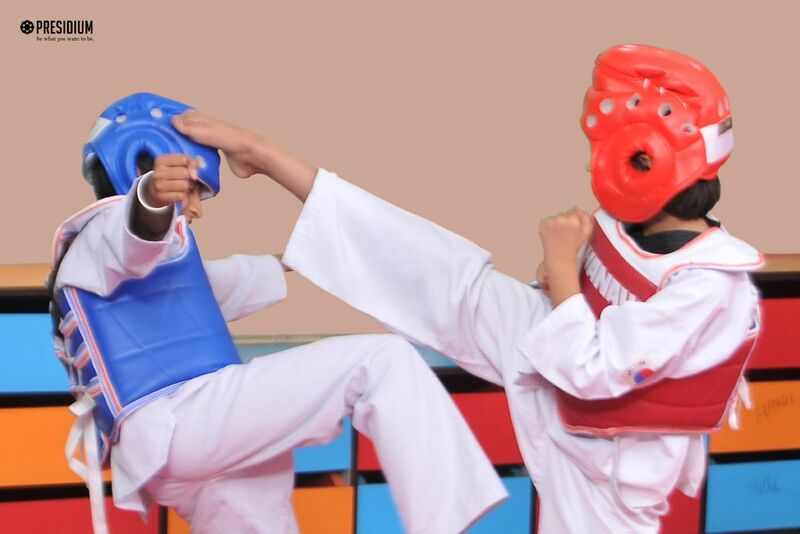 Kanishika Jindal of Grade III, won a Bronze medal in U-32Kg category. 7. Dimanshu Ahuja of Grade II, won a Bronze medal in U-35 Kg category. 8. Shaurya Mittal of Grade III, won a Bronze medal Over-35 Kg category. 9. Sanchi Keena of Grade VI, won a Bronze medal in U-33 Kg category. 10. Ananya Keena of Grade III, won a Bronze medal in U-24 Kg category. 11. Himanshu Singla of Grade VII, won a Bronze medal in U-61 Kg category. 12. Diti Kansal of Grade V, won a Bronze medal in U-45 Kg category. 13. Varuni Bector of Grade VII, won a Bronze medal in U-41 Kg category. Congratulations to the coach and our achievers!